Some of us don’t think much about this issue of division in the visible Body of Christ. I didn’t used to think much about it. Truthfully, I was so accustomed to the idea that Christianity existed in a fragmented state, that it didn’t bother me. Like kids growing up in a broken home, at first it may seem impossible that Dad doesn’t live with us any more, but after a while it seems perfectly natural. Oh, I knew Christianity had been divided into Catholic and Eastern Orthodox, and then later into all the Protestant denominations and sects and independent Christian fellowships. I knew these contradicted one another on many points of doctrine — even in their moral teachings. I viewed this as unfortunate, but as something for which there really was no answer. After all, these churches simply don’t agree with one another on what the true teachings of Christianity are. And since (in my view as an evangelical Protestant) there was no spiritual authority on earth to decide these issues and unite all Christians in one Church, what could be done? It was just the way things were. I do not pray for these only [referring to his disciples] but also for those who believe in me through their word, that they may all be one …. I in them and you in me, that they may become perfectly one, so that the world may know that you have sent me and have loved them even as you have loved me (John 17:20-23). Jesus tells us that one of the strongest arguments for the truth of the Christian message will be the unity of His Church. I began to see things in a new way. As Christ the head has but one Body, Christ the bridegroom has but one bride; as the Church has but one soul, the Holy Spirit; as our Lord gave to His Apostles only one teaching, isn’t it kind of obvious that He wouldn’t want His Church divided and splintered into a vast number of conflicting denominations, sects and independent churches, each with its own vision (and version) of Christianity? I thought of where St. Paul wrote in 1 Cor 14:8, “If the trumpet does not sound a clear call, who will get ready for battle?” and I wondered (and still wonder) how many have turned away from Christ because they looked at Christianity and instead of seeing a unified Church, they saw many denominations, competing with one another for members, contradicting one another in teaching, unable to present one clear message. 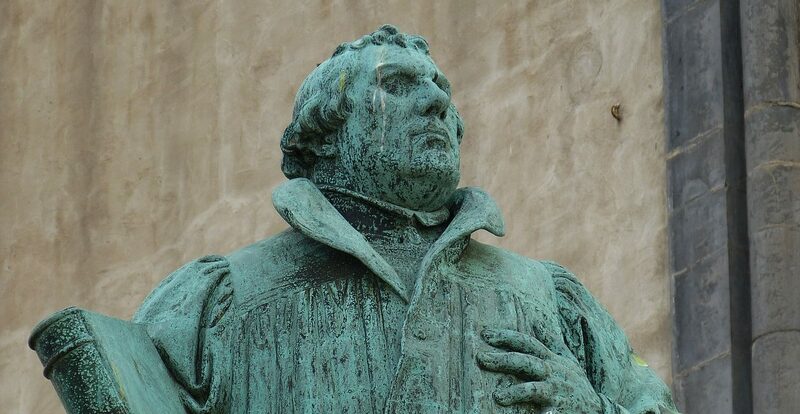 So why did the Reformation happen? Why did so many in the early 16th century revolt against the idea that there existed on earth a united spiritual authority? Why did so many reject the belief that Christ had established on earth a Church with the Spirit-given ability to preserve and pass down the truth of the apostolic teaching, and the authority to decide in matters of dispute? Why did so many at that time in history reject the authority of the Catholic Church to stand on the authority of Scripture alone? In our last article we began looking at the historical and cultural forces at work at the time — forces that were (and I’m not exaggerating) literally driving the world in the direction of what was to occur. 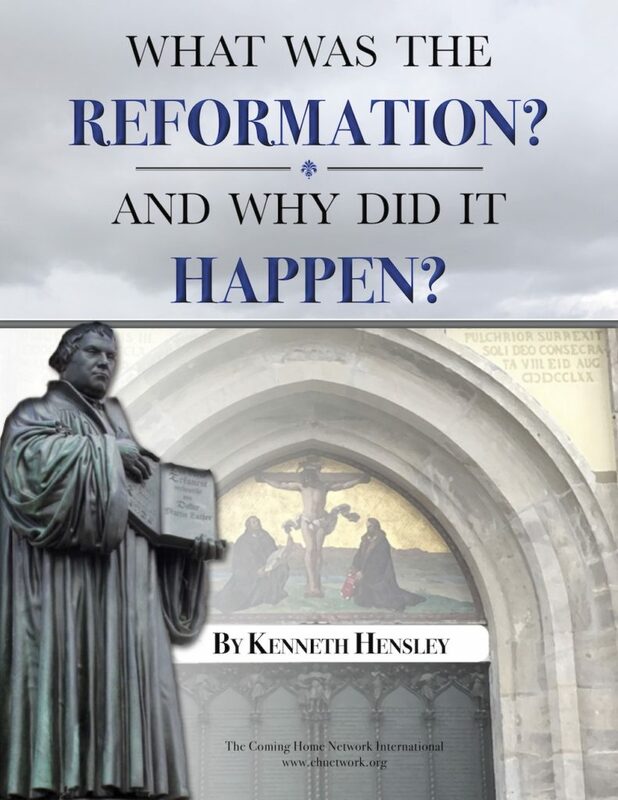 We learned that nothing short of a cultural revolution was taking place at the time of the Reformation. As the Internet is changing our world, so the invention of the printing press was changing the world at that time. With the invention of printing came the mass production of books and tracts on religious matters as well as a dramatic rise in literacy. There was a veritable explosion of new ideas being debated in colleges and universities that were springing up throughout Catholic Europe. At the same time a certain educational philosophy, gaining a strong foothold in the universities, was having its effect as well. I’m referring to humanism as an educational philosophy that arose from the Italian Renaissance and that was critical of the kind of theology of the great Doctors of the late Medieval Church, the Scholastic Theologians, men like Albert the Great, Thomas Aquinas, and Duns Scotus. To put it bluntly, the humanists despised the “scholastic theology” being done by these “schoolmen,” as they were called. In their minds it was too philosophical, too abstract, too complicated, too dry, too boring. They referred to Duns Scotus as the “dunce” and portrayed the scholastics as spending their lives speculating on pointless trivia and debating useless questions about how many angels might be able to dance on the head of a pin, and other such nonsense. This was the impression the humanists had of the official doctors of the Church — which they delighted to spread abroad! Now, there is truth in what the humanists said about the complexity of scholastic theology. I love Aquinas. Reading Aquinas is like listening to a Bach fugue or looking at a Gothic Cathedral. It’s absolutely beautiful in its intricacy and depth and balance. On the other hand, if you’ve ever read the Summa Theologiae, especially some of the more philosophical sections, you may find yourself sympathizing with the humanists, at least a little bit. For them this meant a return to the original sources. The humanists wanted to drink at the fresh springs of the Old and New Testaments and writings of the Church Fathers. Their cry was ad fontes — “to the sources” (literally “to the fountains”). This is how they wanted to learn their theology — not by listening to the Doctors of the Church. Of course not. These are good things. What I’m saying is simply that these were ingredients in the creation of a general atmosphere in which a reaction against centralized spiritual authority could take place. And when you mix in an increasingly arrogant mockery of the “official” doctors of the Church, it wouldn’t have taken a genius to see the direction in which things were headed.